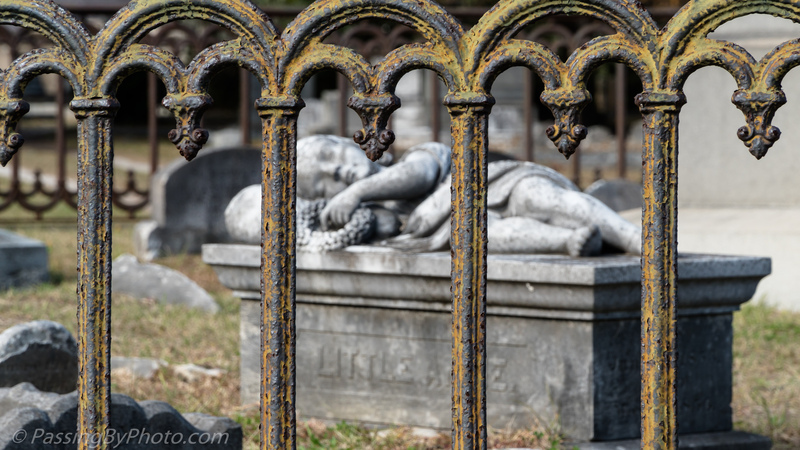 It’s not just the fences that are works of art at Magnolia Cemetery. Statues and monuments giving tribute to the departed of all ages are scattered throughout all of the sections. 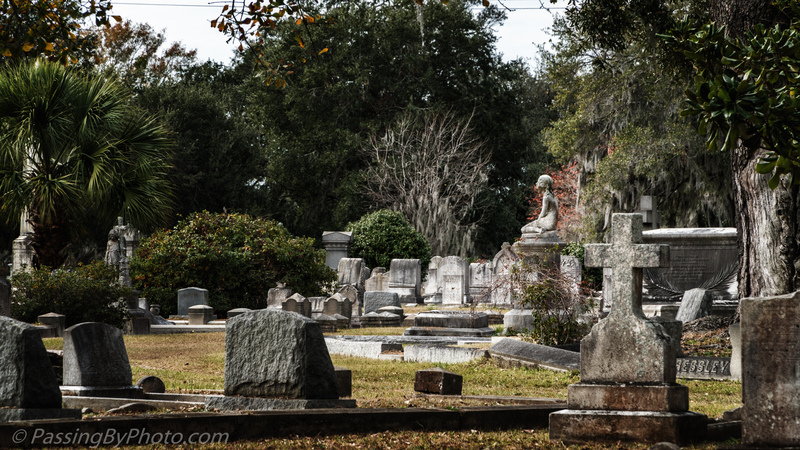 The lush landscaping and massive trees, evident even in December, add to the peaceful feeling of the cemetery. I’m usually more interested in the birds that share this space when we walk here but the man-made beauty attracted my camera this day. I can imagine the monuments vie for your attention. Wonderful photos!